We understand that a good social media agency delivers high quality reports to its clients. That’s why we’ve made reporting as easy as it could possibly be. And beautiful too. When you’ve carried out your work on analytics for your client or clients, you can focus on reporting. With our system, you can create a report and arrange for it to be sent out whenever you want it to. Click on the screen and within seconds you will have a vast array of data about your client's social media accounts. Dig deeper and you can pull out beautifully simple charts and graphs that will not only amaze your clients, but will also reassure them that you’ve got everything under control. Setup custom branded templates with your or your client’s branding. Download the reports and the raw data in XLS, PPT, PDF, and CSV formats. Like pretty much all of what Locowise does, reporting is automated. In fact, we believe in automation, so much so that we automate (and make easier) much of the work around social media data and intelligence. 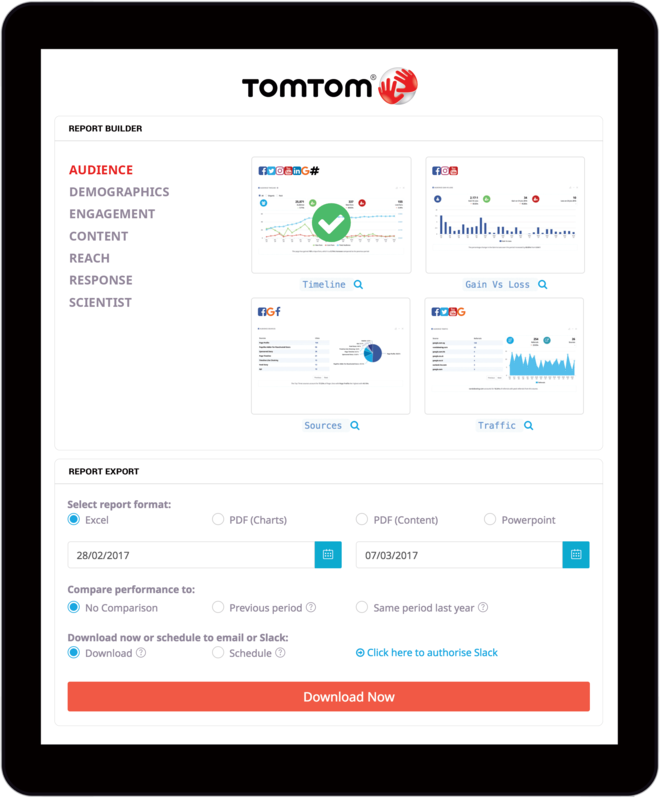 With over 300 metrics available, and automation as standard, we’ve got all your reporting work on social covered. 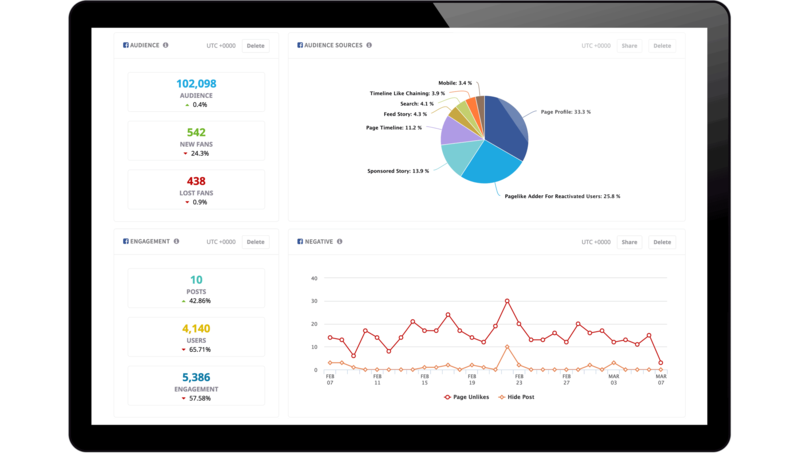 Compile and arrange all the data and insights into easy-to-understand reports. And then, you simply arrange for that report to be sent to your client via email or Slack or, if it isn't time for reporting yet, your team. Take the hard work out of scheduling reports, so the right data gets generated and reported on at the right times to the right people automatically. And because the reports are delivered in that signature, easy to read Locowise style, there’s no clutter or data overload. Just the best possible level of reporting, done in seconds.